Aid in Dying legislation received momentous support from religious leaders of various denominations Monday, urging passage of the proposal, which 67 percent of Americans support, according to a survey by Life Way research. 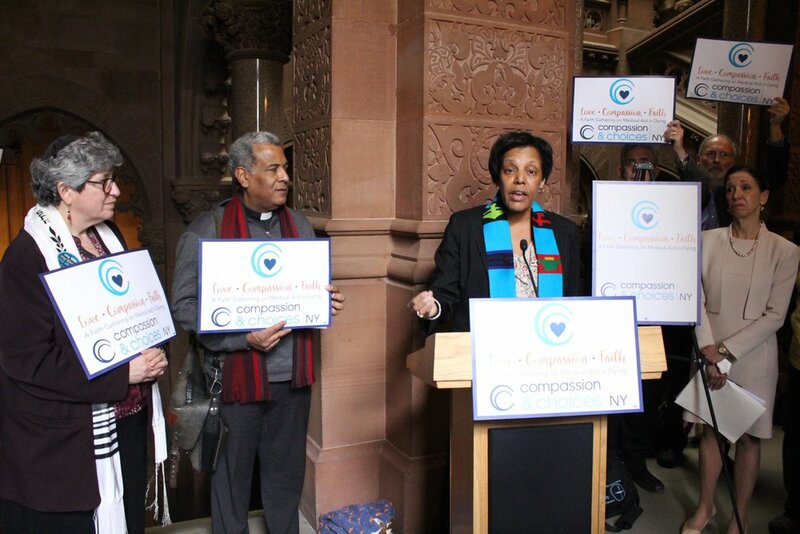 Reverend Valerie Anne Ross from Judson memorial Church in Greenwich Village, NY, spoke to the crowd. Gazette photo by Daniel Wells.